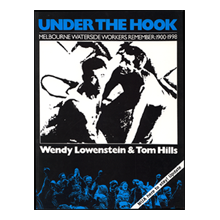 1998 edition of of this significant Port Melbourne book, Under the Hook by Wendy Lowenstein and Tom Hills. 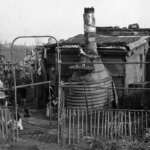 Compiled from interviews with many Port wharfies, it records their working lives and class war on the waterfront between 1900 and 1998. First published in 1982, the 1998 edition includes an added section on the Patrick conspiracy of that year. Martie Lowenstein Nash recently discovered these copies underneath the Lowenstein holiday house at Blackburn and gifted us and also Retired Waterside Workers with two boxes of them. The Society is pleased to have a limited number of copies of this iconic work and excellent reference for sale once more.